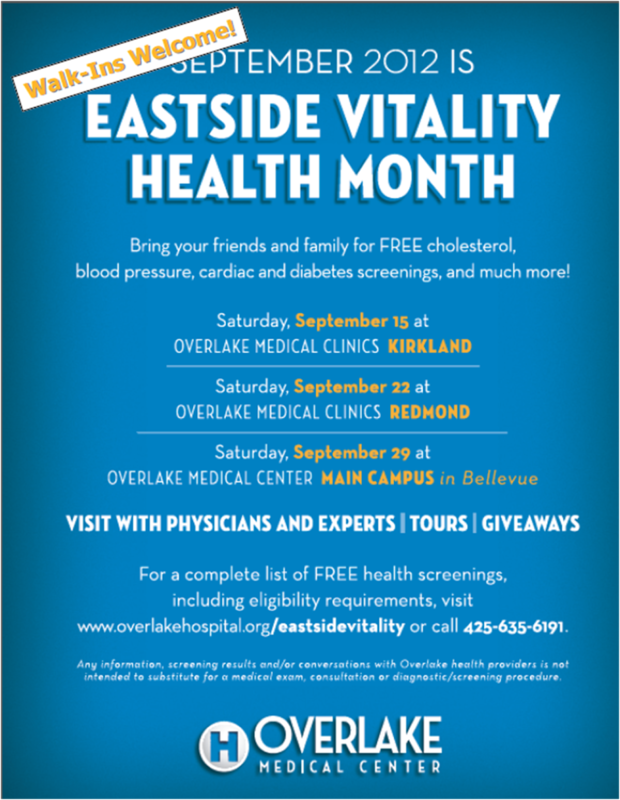 Be on the lookout for these posters peppered around businesses and landmarks in the Kirkland and Redmond areas. 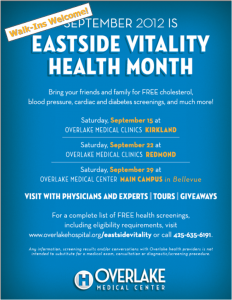 The first Eastside Vitality health fair is this Saturday from 9 am to noon at the Kirkland clinic. Walk-in appointments are welcome!